The commissary ticket from the John Robinson Circus was the next lead to be followed up by the police. E. Masters from the John Robinson Circus turned out to be Earl Masters who was found alive and well and whom subsequently told police that he had loaned his coat to fellow circus worker John Maloney and the commissary ticket must have been in one of the pockets. Masters told police that Maloney had left the circus the week before while in Minnesota. E. Masters was not the Ragged Stranger. 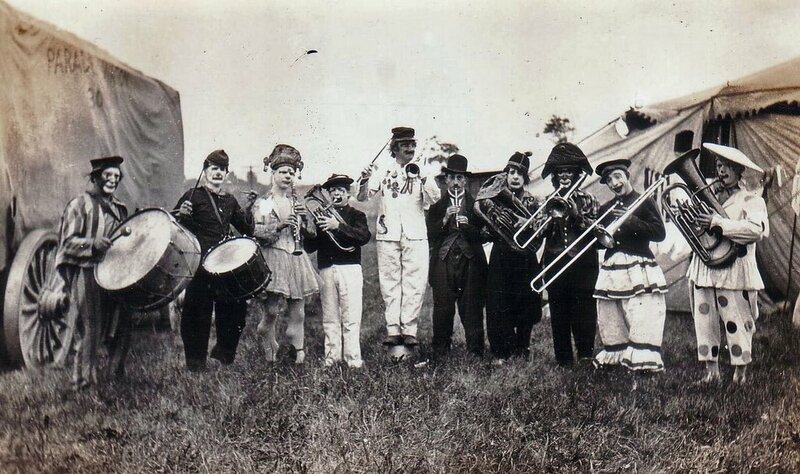 The John Robinson Circus alley band, circa 1920.